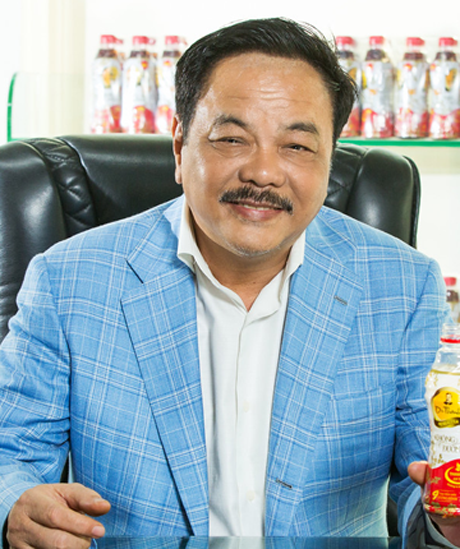 Dr. Thanh Tran is the Founder and CEO of the THP Beverage Company, the leading FMCG company in Vietnam and the country’s largest wholly privately owned enterprise. Since starting a small beverage workshop in 1994, Dr. Thanh has revolutionised the soft drinks industry in Vietnam and is responsible for the production of three National Brands: Dr. Thanh Herbal Tea, Number 1 Energy Drink and Zero Degrees Green Tea with Lemon, in addition to being the first entrepreneur to introduce PET packaging to the country. In responding to the demands of the Vietnamese consumer and investing in state of the art technology from around the world, the THP Beverage Company supplies drinks to every one of Vietnam’s 63 provinces, and to an additional 16 countries internationally including Canada and China. Dr. Thanh has created an organisation that puts people at the heart of his business and supports his daughter, Phuong’s, implementation of a generous CSR program across Asia including the sponsorship of the only Vietnamese team to conquer Mount Everest and ongoing investment into youth sports across the country including the sponsorship by Number 1 Energy Drink of the internationally renowned Iron Man contest in Vietnam in May 2016. Dr.Thanh has been awarded the Certificate of Merit for achievements in developing socialism and defending the country by Vietnam’s Prime Minister Vietnam. UNESCO named him a “Talented Businessman” and in 2010, THP was awarded the Vietnam Trade Star.